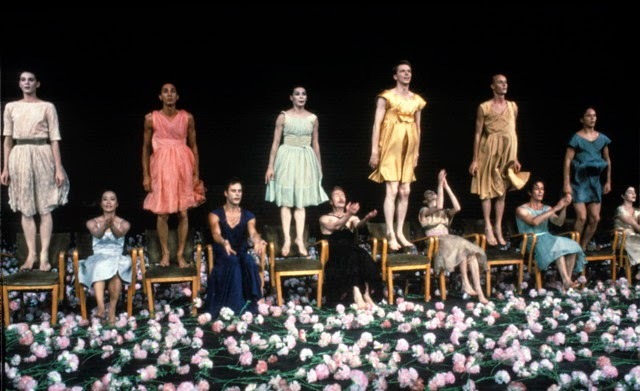 Opening Friday for a week long run at Lincoln Center is Chantal Akerman's hour long documentary on Pina Bausch that follows the great choreographer and her troop over a five week period. So as not to make you have to read the entire write up I'll just say this is a must see. As many of you know I'm not the world's biggest dance fan. When dance works I love it, when it doesn't I could care less. This time it works and I loved it. 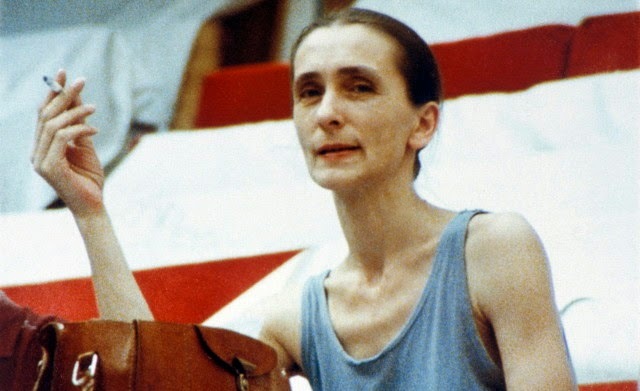 The film follows Bausch and her troop as they prepare pieces and perform them. Its a you are there approach that puts you inside the creation of some of her works. If you've seen Wim Wender's amazing documentary/dance film Pina then you'll be delighted to see how some of the pieces in that film came together. For me this act of creation in a kind of reverse was a delight. In a weird way this film plays as a kind of glorious companion piece to that film and I now can't imagine watching one without the other. Through it all is Bausch who seems to dominate the screen even when she isn't there. There is something about her physical presence, cigarette always in hand, that over shadows everything. Talk about a force of will. A must see for dance fans and non-dance fans alike.